I’ve always wanted to have a career with an English studies focus. Well, other than when I was four-years-old and told anyone who would listen that I wanted to be a ladybug when I grew up. Dreams change from four to twenty-two, that’s for sure. I’ve grown up and I’m looking for ways to have a successful career in the publishing industry. The UNG Press helped me start my journey. In June of 2016, I came to UNG for a transfer student orientation, where I walked around campus and talked to a faculty advisor from the English department about my career goals. 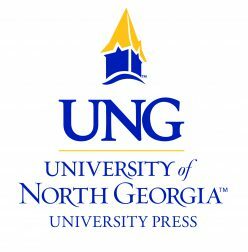 That was the first time I heard about the UNG Press. I’d only received a little information, but I knew I wanted to be a Press intern before I graduated. I would gain valuable insight and experience. I’d get to be in an actual publishing house around other editors. So when I applied for and received the internship position, I achieved a personal goal I’d been thinking about since 2016. My internship with the Press has been everything I hoped it would be and more. Initially, I was so focused on being a copy editor that I dismissed other industry opportunities that were right in front of me. Working at the Press showed me those opportunities. My internship focused on creating content for the Press’ social media platforms. I conducted extensive research about publishing and marketing and used the research to create entertaining and professional blog posts. These assignments taught me the importance of writing for a specific audience and writing concisely and comprehensively. Immersing myself in these new parts of the industry and seeing the hard work that is essential to the success of the Press has provided me with the knowledge, experience, and appreciation that I will need when I begin my career. My internship has shaped me into a better writer and a more compassionate and experienced soon-to-be college graduate. As I’m looking for jobs that allow me to expand on the knowledge and tools I’ve gained this semester, I’ll be thanking everyone at the Press every step of the way. I am one step closer to having the career that I want because of my experience at the Press. Previous Previous post: Thanks For the Memories!